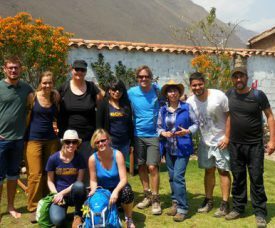 As everyone sometimes needs a change of perspective, AMAUTA regularly organizes a week Spanish immersion trip to the Sacred Valley, from Sunday to Saturday. Just 90 minutes outside of Cusco by bus, AMAUTA students are offered a totally new perspective of the region of Cusco while improving their Spanish skills. 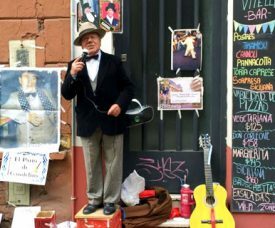 Visit San Telmo for your multicultural Sunday in Buenos Aires! The opportunities to relax and visit interesting places in Buenos Aires are almost endless, for our Spanish students in Buenos Aires. If you have decided to to take a Spanish course in Argentina, don’t worry about feeling bored not a single afternoon. The opportunities for activities in the Argentine capital are endless. 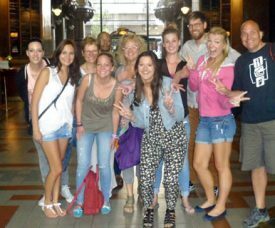 Did you know….. That you are learning Spanish in Buenos Aires, in what once was the tallest building in whole South-America? Go up to the lighthouse and you will encounter amazing views of the city center of Buenos Aires and surroundings. And have you ever wondered why this building has such a special architecture? Palacio Barolo is actually one of the largest monuments in the world inspired by the famous Italian poet, Dante Alighieri. Every single piece of architecture here has a historical and mystic story behind it! After reading this article you will never go to Spanish classes as you did before. We invite you to read this Journey through the History of Palacio Barolo…. Tango Dancing in La Catedral Buenos Aires. Would you like to learn to dance the Tango as a real porteñ@! How? Read it here in this blog about Tango Dancing in Buenos Aires. There are many reasons for visiting the stunning Argentine capital Buenos Aires. 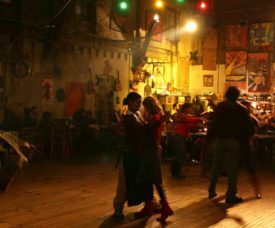 Learning Spanish (more about Spanish classes in Buenos Aires) is definitely one; but learn How to Dance Tango is definitely another good reason! Buenos Aires has an enormous offer of tango shows, tango clubs and tango classes throughout the city. It does not really matter where you go, dancing the tango is always a lot of fun and the quality of tango dancing is, generally spoken, very high in in Buenos Aires. Do you wonder how you can make a difference as a volunteer in Peru? We have the answer for you! 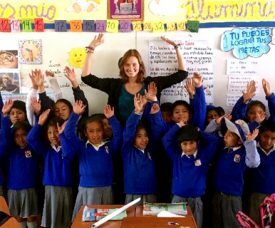 Teaching English in Peru is a great way to impact the lives of Peruvians, especially Peruvian children. Most of the better paying jobs in Peru for locals are in the tourism industry, and it is necessary to speak English to work in tourism. Therefore, teaching English to Peruvians will give them the opportunity to get a better job and, ultimately, have a better life.